Note: I received a copy of this through NetGalley. Impulsive Marianne Dashwood and cautious Elinor are as different as two sisters could be, yet both are shattered by their father’s sudden Death. Elinor’s attachment to the reserved Edward Ferrars is torn asunder by family opposition and his own dark secret, while Marianne’s brilliant romance with the dashing John Willoughby comes to a tumultuous end in a devastating public betrayal. Can the two sisters overcome these trials to find true, lasting happiness? Jane Austen’s beloved first novel, filled with romance, redemption and social critique, is brought to life for a modern audience in this gorgeous manga-style adaptation! I was so excited when I saw this on NetGalley! I am a huge fan of manga and graphic novel adaptations of books. I think they are a great way to refresh your memory on a book you’ve already read, or a way to check out a book you’ve never read. Plus they have beautiful illustrations! 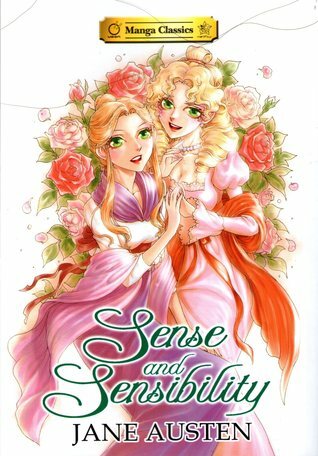 I have never read Sense and Sensibility, but I’ve always wanted to. I really enjoyed this manga version, so now I am feeling more motivated to read the actual book. Because I’ve never read the original version, I’m not sure how good a job the manga version did with capturing the plot and the essence of the story. However, I felt like the manga version in itself did a good job or getting me to like or dislike the characters, and I think it probably hit a lot of the major plot points. The illustrations in this book are beautiful, so props to Po Tse! I especially loved the illustrations the Colonel and Mr. Willoughby. They were so handsome! This was such a fun read. I will definitely be ordering copies of these manga classics to add to my collection, and I can’t wait to read more!